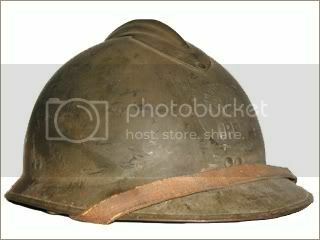 The French Army was the first to adopt a modern steel helmet for its troops during the First World War. 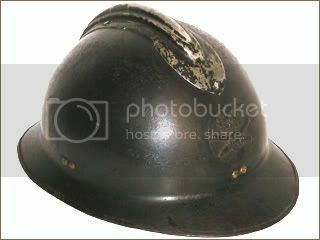 This model steel helmet featured a distinctive badge on the front to distinguish the unit type. 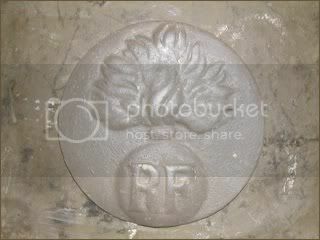 The flaming bomb of this example was used to denote infantry. 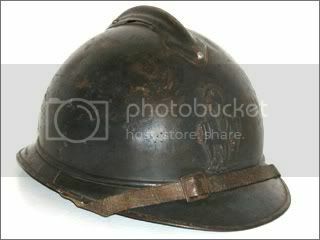 The French Model 1915 “Adrian” helmet was adopted by the armies of Belgium, Italy and Romania. Significant numbers were supplied to other Allied nations including Russia and even the United States. 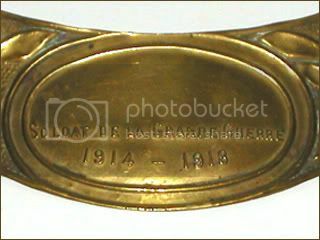 Issued to veterans following the Great War, this gilt brass plate was worn on the front visor of French "Adrian" helmets for parades following WWII. 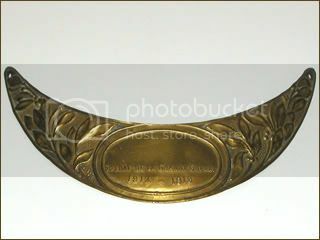 It features the inscription "SOLDAT DE LA GRANDE GUERRE 1914-1918" (Soldier of the Great War). 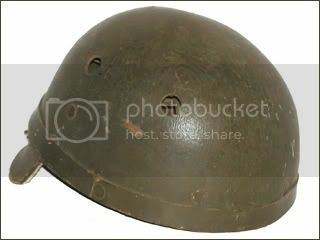 The Model 1926 helmet was an update of the M-15 “Adrian” helmet, and is manufactured in two parts – the rest and the bowl. 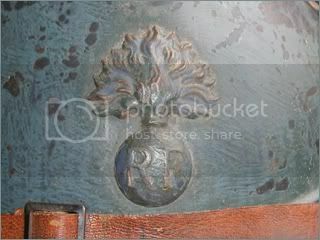 The metal emblems that were introduced in WWI remained in use but were replaced with circular ones. 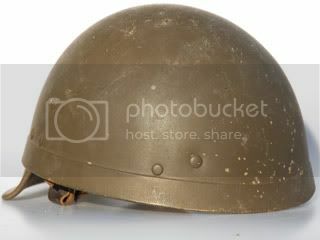 Despite the model designation of this helmet it was not generally issued until 1930 and remained in service when World War II broke out. 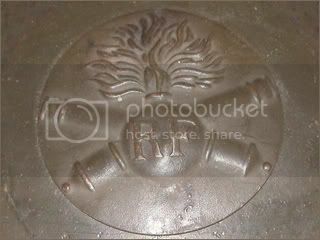 The helmet badge of this Model 1926 features the crossed canons of the artillery. 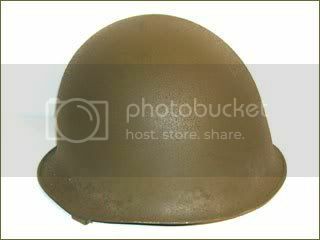 The Model 1951 helmet was based on the American M-1 steel helmet but utilized a more pronounced rear brim. This particular model, dated 1952, was un-issued and was sold in the original wax oil paper. 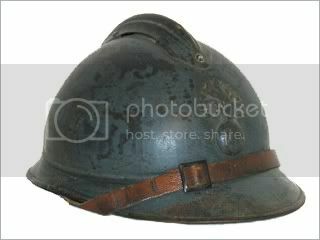 Made of leather with ventilation holds, this helmet was introduced in 1951. 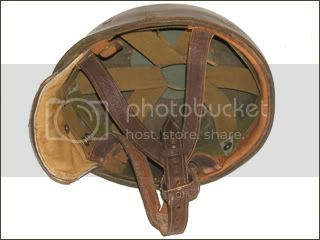 This helmet was made so that it could fit inside the steel shell of the M51 "OTAN." 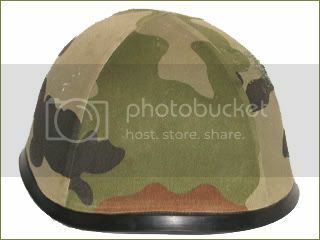 An updated version of the M51, the M58 helmet was made of hard plastic but without the ventilation holes. 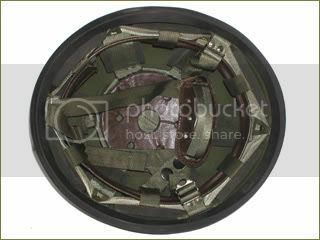 This model remained in used until the 1970s. 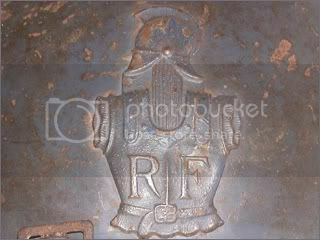 This was the final steel helmet used by the French army. 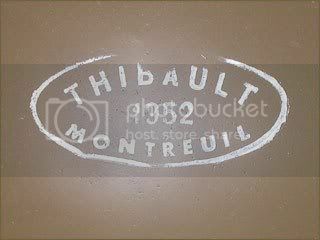 It was developed in the 1970s and used throughout the 1980s and 1990s.